Police are searching for a man who beat and robbed a 74-year-old man as he was entering his West Village apartment. Rana Novini reports. An elderly Manhattan man walking back home from church was attacked and robbed outside his apartment building Wednesday evening, police say. The 74-year-old man was walking into the vestibule of his apartment building on Horatio Street, between Greenwich and Washington streets, when a stranger approached him and pummeled him, police said. The suspect then stole the victim’s wallet, which had $400 and multiple credit cards inside, according to police. The victim had bruises on his face as he returned home from the hospital Friday afternoon. He told News 4 he was coming back from church and had stopped by the bank before going home. Police say a man punched and robbed a man walking into his Manhattan apartment building. He believes that's where his attacker began following him because he knew exactly which pocket to go for. The building is close to the Whitney Museum and the High Line, and neighbors were stunned to hear of the brutal attack in such a popular and busy area. "There's a lot of tourists, so it's a lot of people that can be targeted," said Jacqueline Swett. Investigators released surveillance images of the suspect in the hopes of making an arrest. He is seen in the photos wearing a black shirt and white hat and is believed to be in his 40s. 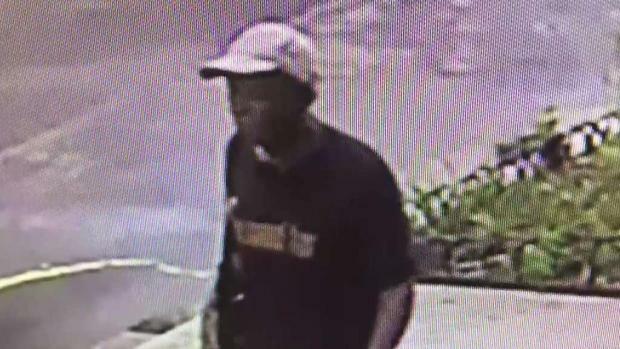 Police in New Jersey Friday were investigating another attack on an elderly woman returning from church. In that case, the 83-year-old woman was tackled and sexually assaulted by a stranger, and police are still looking for the man.